Raj started Young Mountain Tea with a promise– if Himalayan communities would grow tea, Raj would setup a company in the US to sell it. At the time, he was in N. India on a Fulbright Fellowship, working to create livelihoods for remote Himalayan communities. 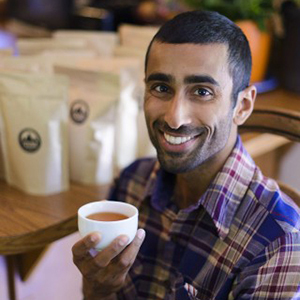 He moved back to Oregon, teamed up with friends and started Young Mountain Tea. Since then, the company has also begun offering guided trips to the regions of India and Nepal where they work.